Fed up with fighting through the masses at the airport? Bored of queuing for 20 minutes for a coffee? There is a more sophisticated alternative! No 1 Traveller is a great concept that takes some of the pain out of trudging through airports, offering airport lounge access plus a range of premium products to improve the pre-flight experience. These services can be used by anyone, regardless of their airline or seat class, making pre-flight luxury with a hefty price tag a thing of the past. I really find these lounges essential preflight. They massively reduce the stress of airport travel and enable me to properly relax with a paper, a cup of tea and biscuit before my flight. They have nice bathrooms, comfy seating, nice views and stop me feeling and looking frazzled before I even get on the plane! 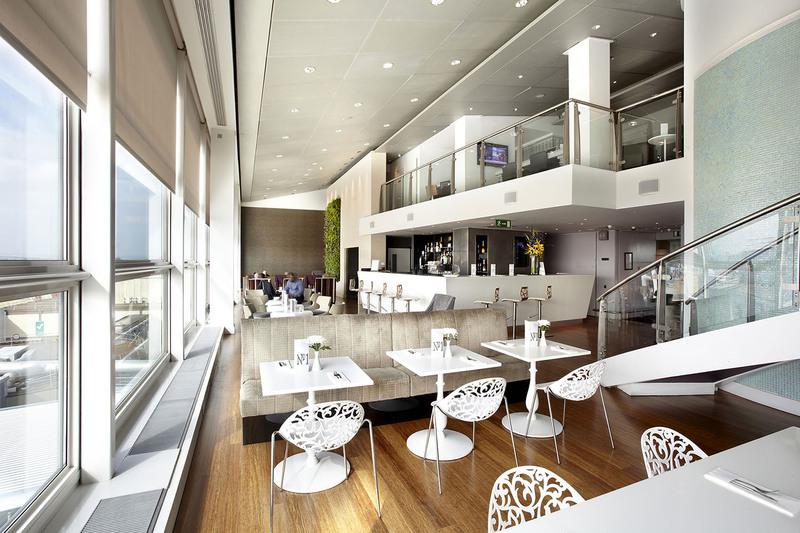 No.1’s collection of award-winning lounges, located at Heathrow, Gatwick, Stansted, Birmingham and Edinburgh, boast airside bedrooms, Travel Spas, cinemas, a fully tended bar and bistro service, as well as unlimited WiFi, and a selection of leading newspapers and magazines. Prices start from £20 per adults and £15 per children and can be booked via No1Traveller.com. All soft and alcoholic drinks are complimentary, with the exception of champagne which can be purchased additionally. There is a range of complimentary hot & cold food options from the bistro menu and self-service pantry table. Dishes include a bacon roll, waffles and scrambled egg in the morning and a chicken caesar pitta, cottage pie and vegetarian ragu pasta in the afternoon. They also offer No.1 Travel Spas, which I have never used, but are available at the flagship Heathrow Terminal 3 facility and Gatwick’s North Terminal lounge. You can even choose their full ‘Driveway to Runway’ experience offering chauffeur-driven airport transfers, complimentary security fast-track with lounge bookings and a VIP Departure service with a porter to meet passengers kerbside, help with luggage before whisking them through check in and security. 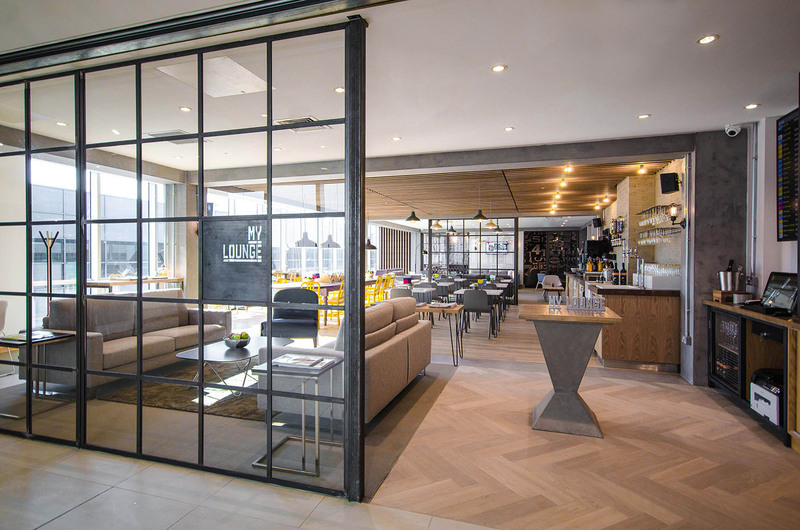 In July this year, No.1 launched a new lounge concept My Lounge at Gatwick Airport – a new take on the pre-flight lounge experience. With floor to ceiling windows, the airy, loft-inspired space offers the exclusivity and amenities of a traditional airport lounge, without the formality. Guests can pour a draft beer or a crisp glass of Sauvignon and graze on a range of nibbles, from olives and crunchy, chopped veg, to My Lounge’s very own flavoured popcorns or warm doughnuts with dipping sauce. There is also a study, den and games room for passengers wanting to send a last minute email or play PlayStation. Of note, if you are a member of Priority Pass like us, you may still be turned away from these lounges if they are fully booked. We were mortified to be turned away from the lounge in Gatwick’s North Terminal on our last trip as we had not prebooked. Pre booking is essential to be sure of access, particularly at peak times. Read my other airport lounge reviews.